Raising kids is no easy task and it’s important to not be so hard on yourself while doing so. 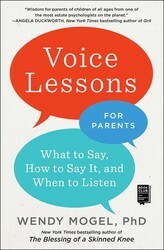 Dr. Wendy Mogel, author of VOICE LESSONS FOR PARENTS, shares her fundamental truths about children. Although children may beckon you to realms of enchantment, life can be hell when you’re deep in the trenches of a typical day with them. And unlike any other social activity, it is not optional. When the ancient Jewish sages referred to “tzar giddul banim,” Hebrew for “the pain of raising children,” they were acknowledging both the urgency and the seeming futility of getting your message across to distracted, contrary, ignorant, self-centered little fools. But a portion of the rough spots encountered each day may be smoothed by understanding three fundamental truths. If these seem self-evident and therefore easy to incorporate into your heart, worldview, and child-rearing routine, you are probably new to parenting. #1. Boys and girls are different. They see and hear differently, learn differently, progress at different rates, find different situations and sounds amusing, and respond to different styles of verbal and nonverbal interactions. It’s true that blunt or old-fashioned stereotypes can cause harm by narrowing or distorting our view of individual children, and there are many characteristics that boys and girls have in common. But parents and other adults need to appreciate the distinctive traits of each child while also accepting the existence of typical gender differences. #2. Your child’s bad behavior doesn’t make you a bad parent. You can’t take children’s bad behavior personally. 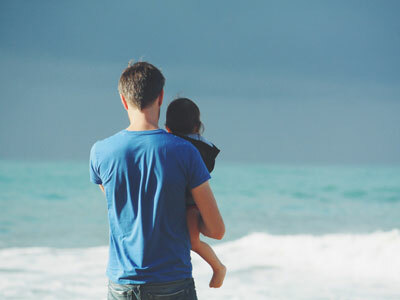 With few exceptions, their willfulness, petulance, resistance to reason, and otherwise crabby or insulting behavior is not a reflection of how much they love you or a barometer of your skill as a parent. There are many other influences in their lives: daily struggles, humiliations, unfulfilled longings, frustrations, and disappointment. Just like the mess at the bottom of their backpacks, they lug it all home. If they didn’t feel you could take it, they wouldn’t hurl their emotional junk your way. #3. Today is a snapshot, not the epic movie of your child’s life. Children are constantly evolving. Today is not predictive of much—not tomorrow, not the middle school years, not their eventual career, not what your relationship with them will be like when they’ve matured. In a world of constant ranking and rating, it’s wildly countercultural to take a wait-and-see approach, but it is essential. For more advice and tips on parenting check out VOICE LESSONS FOR PARENTS by Dr. Wendy Mogel. Photo by Steven Van Loy on Unsplash.